Louisiana Tax Free Weekend 2018 is not happening. Louisiana Back-to-School Sales Tax Holiday 2018 is cancelled. Find out why here. What is the Louisiana Sales Tax Holiday 2018? 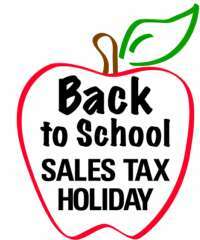 Under Louisiana law, the annual sales tax holiday takes place on the first consecutive Friday and Saturday each August.